Subscribe and Support Paly's Premier Publication - Click Here! Congrats to the Boys and Girls Basketball teams on their historical seasons! Hilda Huang is a senior and joined The Viking in her junior year because of her love for athletics. After serving as a copy editor her junior year, she is now a Business Manager along with fellow Viking Michael Strong. 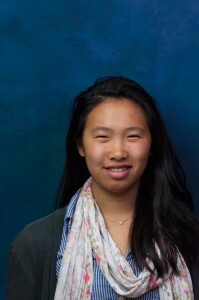 Huang dove varsity for the Swimming and Diving team and was a part of the gymnastics team her sophomore year, but was unable to compete due to injury. Awarded 1st place in the 2012 Art Rosenbaum Scholarship Award for her story "Running After Dark," she is also an avid musician and a huge USA Gymnastics (go Fierce Five!) fan. Follow @hildaphu on twitter, or find more stuff about her at http://curiosity.discovery.com/user/hilda-huang/bio and http://bigthink.com/hildahuang.